On the working farm of Wester Kittochside you’ll find this living tribute to Scottish farming life. 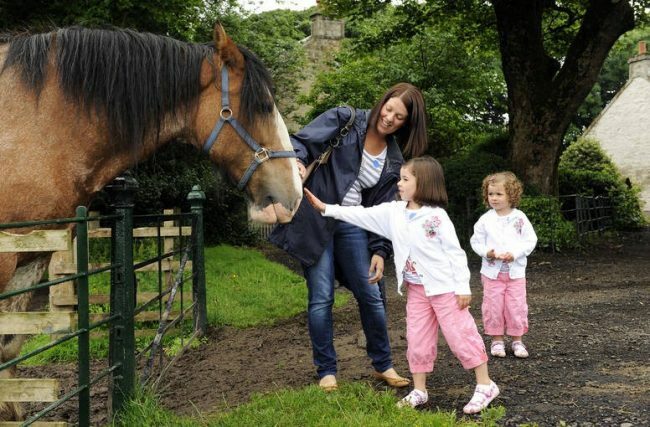 Set amid rolling South Lanarkshire countryside, yet only 8 miles from Glasgow city centre and easily reached by car or bus, the award-winning National Museum of Rural Life is a popular family attraction. Visit the Georgian farmhouse with rooms decorated as they would have been in the 1950s, and meet the resident Ayrshire cows, Aberdeen Angus cattle, Tamworth pigs, sheep, hens, Clydesdale horses and Highland calves. In the museum – just a short walk or tractor ride away from the farm – discover 300 years of Scottish rural history and see Scotland’s largest collection of tractors, combine harvesters and other farming machinery.